Quinnetta Miller is senior manager of coaching for StriveTogether. In this role, she develops stories, tools and resources and provides direct strategic coaching and support to accelerate partnership progress across the Cradle to Career Network. Previously, Quinnetta worked in education as a literacy instructor and team lead. She has taught literacy for grades sixth through 12th in the Chicago Public School and charter system for eight years. Her primary role included curriculum writing that aligned learning activities to rigorous standards in order to maximize students’ performance on key assessments. 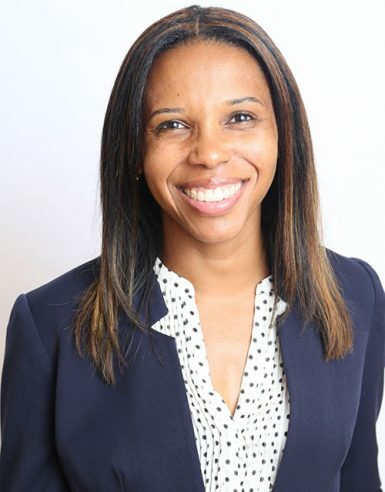 Last year, Quinnetta was appointed by the former head of The North Shore Country Day School to serve on the board of trustees. As a board member, she has provided educational expertise under the curriculum strategic planning sub-committee. Quinnetta will use her background as an educator while cultivating her experience as a board member to the collective impact strategy at StriveTogether. Quinnetta has a bachelor of arts in secondary education and English literature from Knox College and a master’s in instructional leadership from the University of Illinois at Chicago. She and her husband, Joshua, live in Chicago. It varied from week to week: archaeologist, writer or WNBA player. Where is your favorite place to take a vacation? Any southern city that has great food and music. Who was your favorite teacher in school?